In 2019, we're expanding our reach in North America to the Baja California Pennisula! For the second race of the 2019 Lasernut Western Series, we're excited to annouce that we will be heading to San Felipe, Baja, MX for a true Baja-style off-road race. 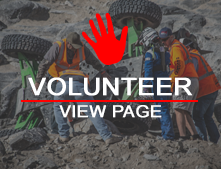 With Baja's rich off-road history and enthusiasm, this new event for Ultra4 Racing will be one you won't want to miss! Check out the Starter Guide to racing in San Felipe Here! Pit bands will be a $5 upgrade from a spectator band. Total cost for entry for pit crew is $25. Pit Crew bands will be $25 on site, or you can purchase annual hard cards at www.ultra4license.com. New to racing in Mexico? Check out our starter guide HERE! We will follow our normal schedule and qualify on Friday afternoon and race all classes on Saturday. Mileage/Lap counts TBD. On Friday night after qualifying, we will do a parade down to the historic Malecon (Beach-front street with bars and shops). It is not mandatory, but you will not want to miss the experience! We are also arranging for a pre-race party for the early evening on Friday. On Saturday, an hour after the race, we will have awards and post-race party at our Host Hotel, El Cortez.